Evans brings more than 25 years of experience in the hunting and shooting sports to Blaser USA. 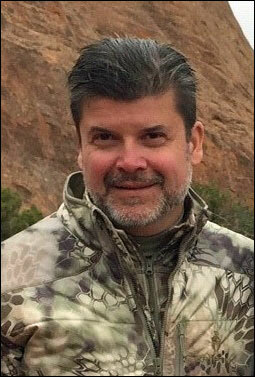 Prior to joining Blaser, he served as Director of Sales and Marketing for Hogue, 6 years as Vice President of Sales and Product Development for Weatherby, and before that spent 13 years in various roles at Benelli USA, ultimately rising to Vice President of Product Development. When it comes to Blaser we tend to think of the F3 and F16. But other long guns in the Blaser portfolio include the K-95 break-action and R8 bolt-action rifles plus optics from Blaser and Minox. Blaser USA also exclusively imports, distributes, and markets rifles from Mauser and John Rigby & Co., as well as rifles and shotguns (semi-automatic and O/U) from J.P. Sauer & Sohn. Shotgun Life: Why did you join Blaser? Evans: Blaser was a company I always admired as a technical innovator. They have a fantastic reputation, especially in Europe. I had a chance to go to IWA (the IWA Outdoor Classics Trade show held annually in Nuremberg, Germany) over a period of years and have seen their power and presence in Europe. Knowing Christian (Socher) informally early on and now formally, it seemed like there’s incredible potential to grow around the Blaser Group’s design and engineering. Jason Evans (left) with Christian Socher. Shotgun Life: How closely will you be working with Christian, if at all? Evans: Fortunately, Christian was promoted to lead the Blaser brand Internationally, and it’s even more fantastic to have an executive with deep American experience leading global sales efforts. 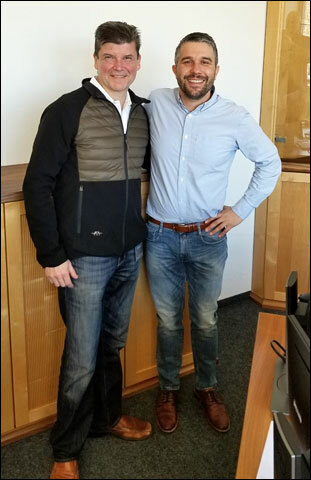 With Christian there to understand the unique needs of the U.S., I see a bright future for product development for delivery to the U.S. Shotgun Life: What do you see as Blaser’s strongest market differentiators in shotguns? Evans: What I’m doing right now is tapping into our premium dealer network to find what we do well, and where we can improve. How do we differentiate Blaser? From my results, what I keep getting back is German precision and German design are the great separation, which includes the design focus on the interchangeability of our barrels and the overall modular approach to both the shotguns and rifles. The F3 is a platform that you can customize to help you shoot as well as you possibly could. And personally, I think it’s a great story; the modular approach layered upon German precision that translates into increased reliability of our shotguns. 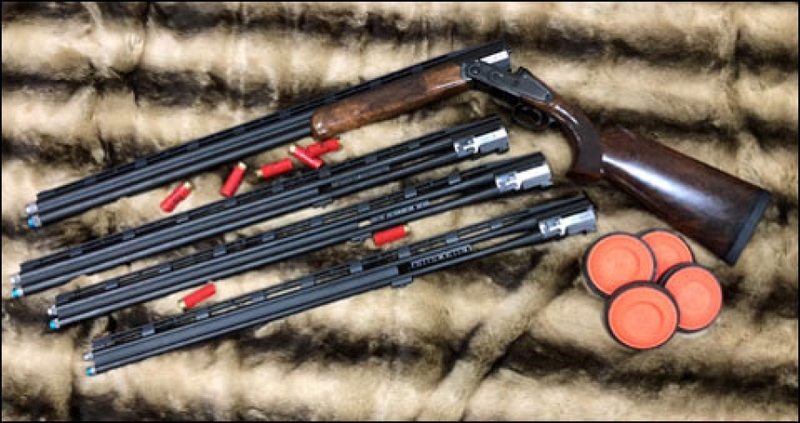 The modular design of the Blaser F3 allows for 12, 20, 28 and .410 gauge barrels to easily fit into the receiver. Since all of the barrels weigh the same, the F3 delivers a consistent shooting experience regardless of gauge. Shotgun Life: How do you think Blaser is perceived in the American market? Evans: I think there’s two versions of Blaser. One from the rifle side and the other the competitive shotgun shooter side. Both are about German precision. At our core, we’re about mechanical stability and durability over the artistic side (engraving). Our Custom Shop can provide World Class artistry, but all Blaser products start off with a fantastic piece of machinery at its heart. Blaser has been taking an industrial approach. The perfection of design is often to produce something that’s more simple than complex. The Blaser presentation is monolithic engineering. Shotgun Life: What do you think the dealer channel wants most from Blaser regarding the F3 and F16? Evans: In our dealers’ words – increased modular options, to provide solutions on a rock-solid receiver, to minimize down time and maximize the accessories to fulfill the passions of our customers. The Blaser F16 Sporting Heritage. Shotgun Life: What do you think the customers want most from Blaser regarding the F3 and F16? Evans: I would say mechanical precision and reliability. That has to be a requirement at every level. People want and deserve that from a premium product. And if something does have issues, we have excellent support to quickly get our guns back in the hands of the owner. Shotgun Life: Will you play a role in product development? Evans: Yes. There are fantastic people in this company (Blaser USA) who have great knowledge of the competitive shooting-sports market. What I will personally look over is product development, at all brands, and find the specialists who will continue to focus on defining our own American vision and move toward that with new products and innovative features. The Blaser F3 Grand Luxe. Shotgun Life: Do you wingshoot or clays shoot? Evans: I put wingshooting at about 98 percent. Mostly my sporting clays was a warm-up to hunting. I’ve been wingshooting since I was 12, born in Minnesota into a hunting culture. My father started Magnum Research and developed an iconic gun called the Desert Eagle Pistol. They were also the exclusive importer of CZ and Bernardelli guns for a time. I was fortunate to grow up in a family firearms business. After college, I went directly to work for a Texas rep group in the firearms industry. The Blaser F3 Super Sport clays gun. Shotgun Life: What is your favorite hunting sport? Evans: Ideally, it would be upper Midwest pheasants with good dogs and a group of guys. I’ve been fortunate to experience many different hunting locations around the world, but on a personal level, waterfowling on the family goose lease is preferred. I had a lot of fun growing up. Now, it’s about exposing my kids to the hunt, it appears I’ll have three built in hunting companions on future outings. Shotgun Life: How important is the upland hunting market to Blaser? Evans: I think the focus has traditionally been on the competitive side, but there’s a lot of the market open for the F3 and F16 to casual clays shooters who would also like a well-designed upland gun. Shotgun Life: Thanks very much for your time.